Did you know that Alexander Hamilton and John Jay, two of America's Founding Fathers—and half of the "Quartet" behind the adoption of the Constitution—are Columbia alumni? 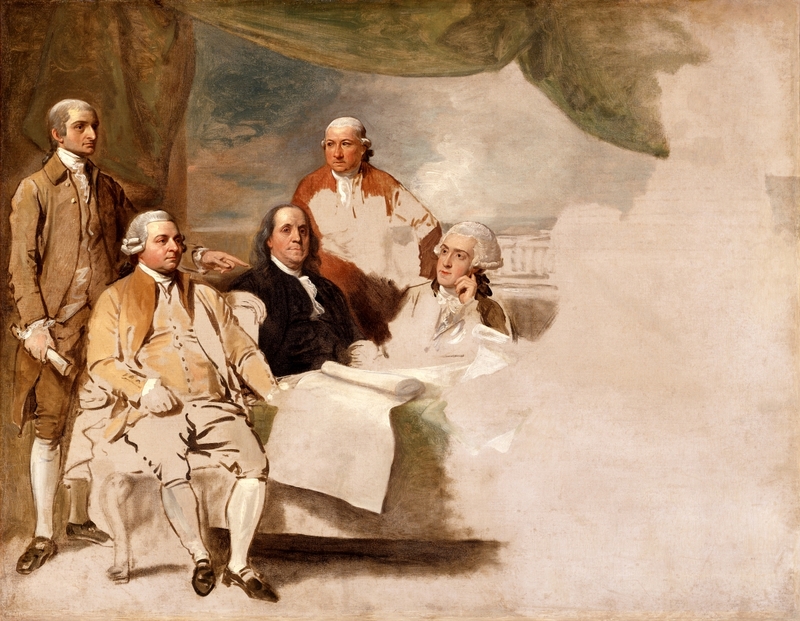 In his book, The Quartet, released last year, Joseph Ellis says the men were responsible for "the most creative and consequential act of political leadership in American history." In honor of upcoming Independence Day, here are a few facts about Alexander Hamilton and John Jay. 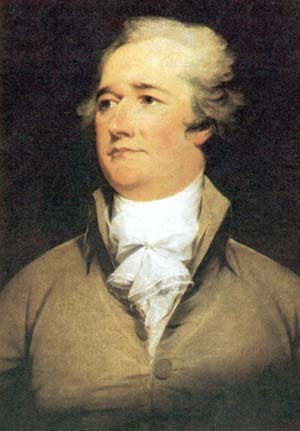 Hamilton, the first Treasury Secretary, entered King's College (now Columbia) in 1774 and stayed until 1776 when he left to serve in the Continental Army. Hamilton Hall at Columbia University is named after him. A statue of the Founding Father stands outside of the building. The hall is home to Columbia College and the Admissions Office. Columbia has a collection of Hamilton treasures, which are currently on view at the Rare Book and Manuscript Library on the 6th floor of Butler Library on Monday to Friday from 9 a.m. to 5 p.m.
Before his landmark musical, Hamilton, received a Pulitzer Prize from Columbia and a record 16 Tony nominations, Lin-Manuel Miranda came to campus in April to receive the Edward M. Kennedy Prize for Drama Inspired by American History, which is administered by Columbia Libraries. Miranda viewed the artifacts with Jennifer Lee, curator for performing arts, pictured below. Columbia is one of several institutions that has dug deep into its archives to showcase artifacts from Hamilton, after the Broadway play's huge success. 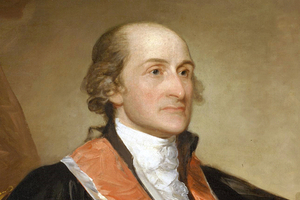 John Jay is known as a writer of the Federalist Papers and was the first chief justice of the United States. He attended King's College from 1760-1764. Similarly to his fellow Founding Father, Jay has a building at Columbia in his name. John Jay Hall is a first-year residence, dining hall, coffee shop, and health services office. Jay had an impressive amount of government roles in addition to chief justice, which he became in 1789. He served as president of the Continental Congress in 1778, was U.S. minister to Spain, helped to broker the 1783 Treaty of Paris that ended the Revolutionary War, and was governor of New York for six years. Jay's Treaty, formally the Treaty of London, signed in 1794, was one of his biggest achievements. The treaty negotiated trade terms with Great Britain and removed remaining issues after the Treaty of Paris signing in 1783.